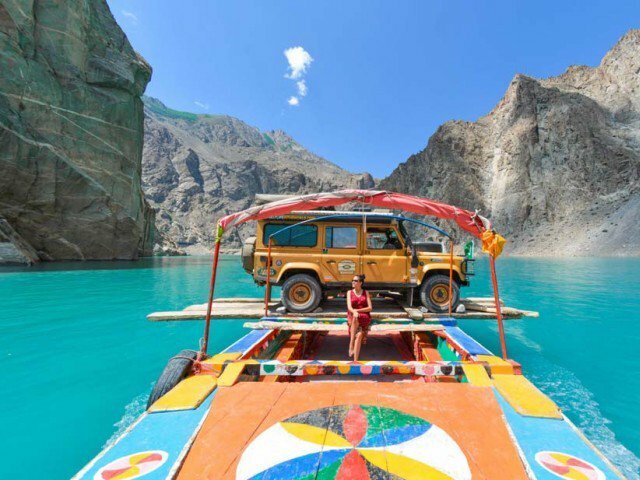 ISLAMABAD: The British Backpacker Society ranked Pakistan number one out of 20 other adventure travel destinations because they consider Pakistan one of the friendliest countries in the world with mountain scenery that is beyond anyone’s wildest dreams. During their 4 to 5 years of travel, the team of Samuel Joynson and Michael Worral of British Backpacker Society from Bournemouth has traveled more than 80 destinations. Here are the top 20 destinations they picked; Pakistan, Russia, India, Turkey, Kyrgyzstan, Lebanon, Tajikistan, China, Georgia, Uganda, Bosnia & Herzegovina, Jordan, Iraq, Democratic Republic of Congo, Algeria, Montenegro, Egypt, Rwanda, Uzbekistan and Kosovo. The team at the British Backpacker Society will continue its journey and travel more destinations. They will compile a new list of top adventure travel destinations of the world.